Hey guys! Hope you all are doing well. So I am back with a new post. Yes I’m posting a lot and being regular *claps please* 😛 Also Happy Diwali to all of you. 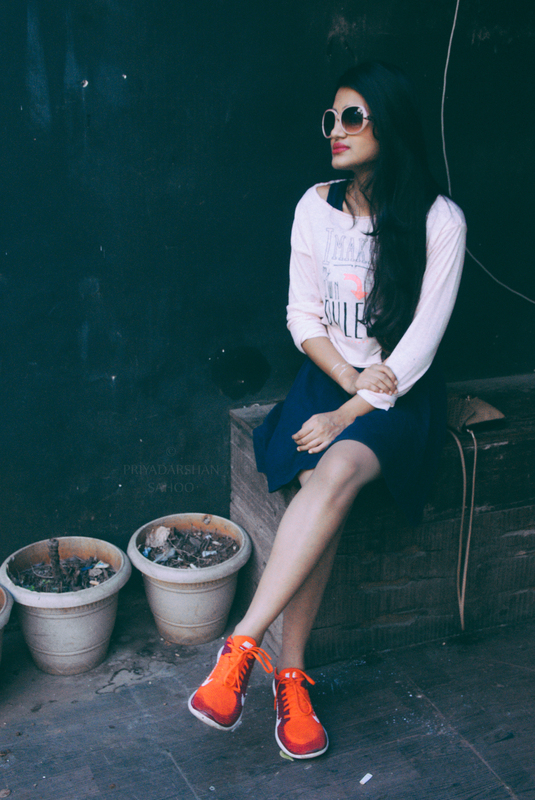 So in today’s post I’ve styled this blue skater dress in 3 different so that you can amp up your plain dress in these three ways. For the first look, I put on a denim shirt on this dress, left the shirt unbuttoned and tied a knot at the bottom .I also added these floral broques from shoe crea which are handmade and put on my favourite oversized sunglasses as well. I think look came out very nice and it instantly adds definition to the dress. 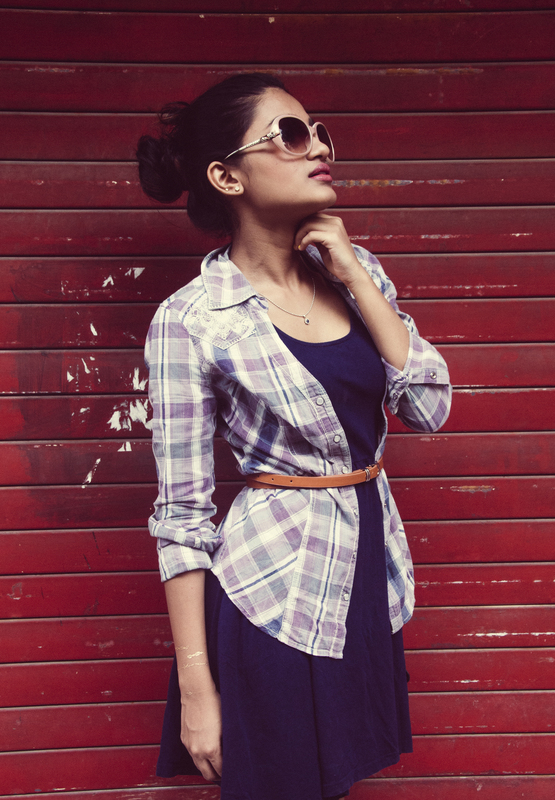 For the second look, I wore a plaid shirt which goes well with this dress and added a tan belt on top of it which gives it a sheek look . I wore these wedges and the same sunglasses from before . 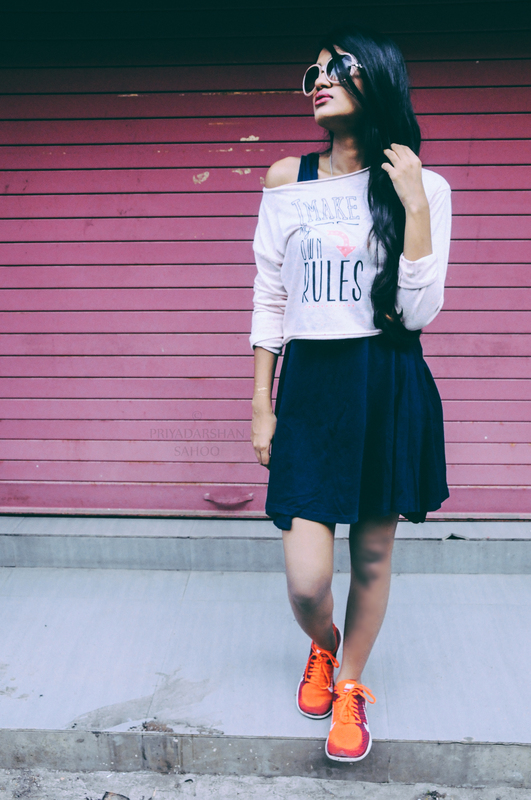 This look is perfect for any casual outing and I love how it transforms my plain dress completely. 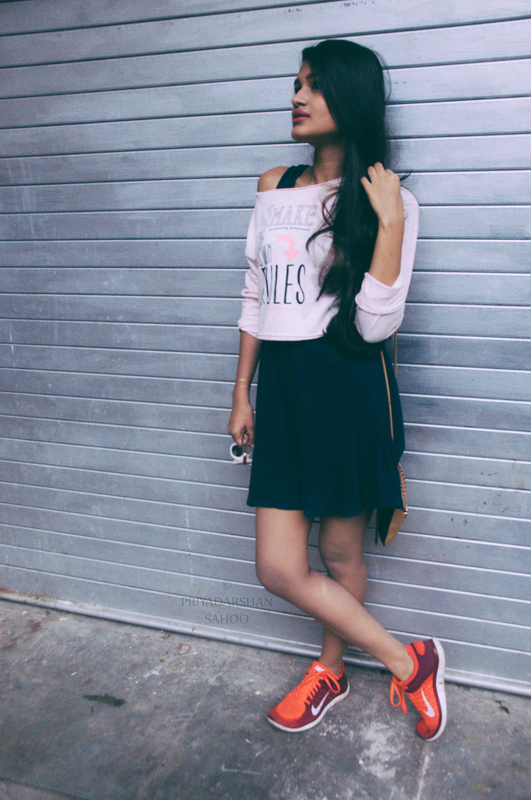 For this third look, i wore a pink cropped off-shoulder tee on this dress to give it a sporty look. 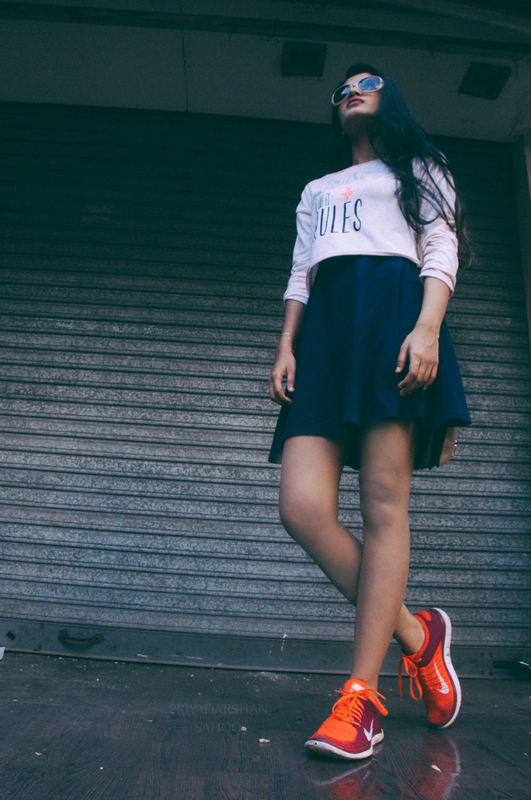 Also I added my favourite bright orange Nike shoes to add a pop of colour and it goes well with the sporty theme. And my same sunglasses from before. 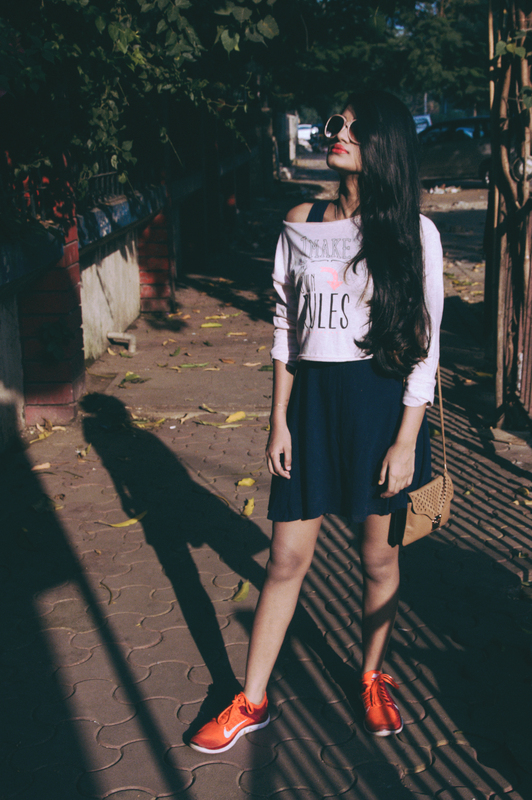 I hope this post helped all those people who like wearing branded as well as unbranded clothes like me.Even you can revamp your plain dress in any of these ways . I absolutely loved all the looks and the way they turned out. They are perfect for everyday wear . Hope that you liked it as well. Do leave your feedback in comments below.